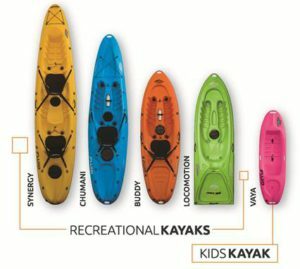 At Nautical Sports, we are a one-stop kayaking shop focused primarily on the recreational side of the sport of paddling and are geared to introduce the novice to this great outdoor activity. We stock a comprehensive range of craft from local manufacturers such as Fluid Kayaks and Legend Kayaks and distribute throughout South Africa. Local truly is lekker – the quality is exceptional and all the spares are readily available. Buy an imported kayak and lose a bung or storage hatch lid – good luck finding a replacement! Roto-moulded kayaks are affordable and virtually indestructible and all models are inherently stable – targeting the novice paddler or providing a stable fishing platform. They are mostly SOT’s (Sit-On-Top) kayaks making them very versatile and can be used in surf, dams, rivers and even minor white water rapid runs. Fluid Kayaks are famous the world over for their white water craft, but here in South Africa they also offer a great range of Recreational and Fishing kayaks. With the exception of the BAMBA – which is a dedicated fishing kayak – the rest of the fishing kayak range is comprised of certain recreational models that are kitted out for fishing. We offer this conversion at Nautical Sports and can offer a custom setup to suit your needs and budget. 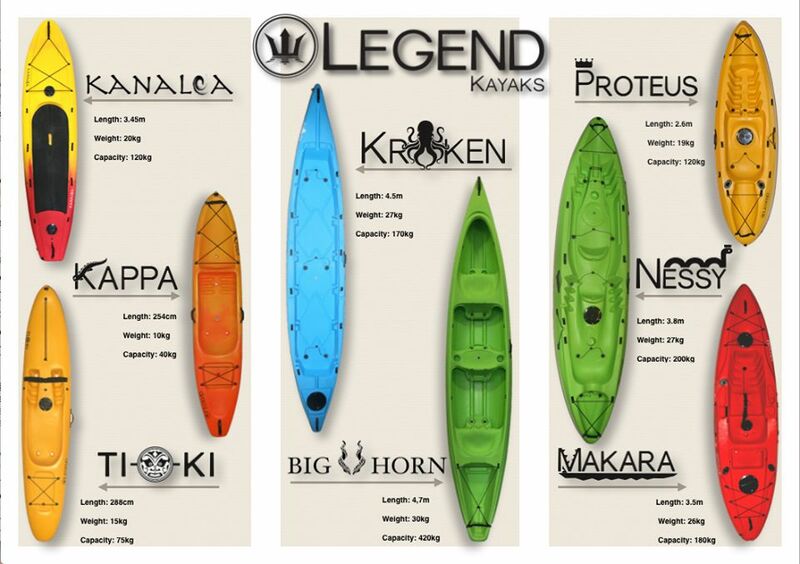 A newer brand but one really making their presence felt with some very innovative kayak models is Legend Kayaks. The Makara comes standard with fishing rod holders but most other models can be converted into angling versions. This can be done either at the factory and shipped direct to you or we can do the conversions in-house. Please note – paddles and backrests are sold separately for all models. Order your kayak from us and for the most part, your kayak can be delivered direct to you with no additional courier fee. (Certain outlying area’s do incur a slight levy). Please note however – most accessories like paddles, backrests, etc will be sent separately and will incur transport fees.